KLINIKA ZA NEUROHIRURGIJU UKC SARAJEVO OVOG JE MJESECA DOMAĆIN DVA NEUROHIRURŠKA KURSA NA KOJIMA ĆE SE UŽIVO IZVODITI KOMPLEKSNE OPERACIJE SA KOLEGAMA IZ INOSTRANSTVA. RADI SE O LIVE SURGERY KURSEVIMA IZ CEREBROVASKULARNE I PEDIJATRIJSKE NEUROHIRURGIJE. NA PRVOM ĆE UČEŠĆE UZETI JEDAN OD VODEĆIH SVJETSKIH CEREBROVASKULARNIH NEUROHIRURGA, PROF. JUHA HERNESNIEMI IZ HELSINKIJA (FINSKA), A DRUGI PEDIJATRIJSKI KURS ĆE ODRŽATI IZVRSNI PEDIJATRIJSKI NEUROHIRURG, INAČE BIVŠI PREDSJEDNIK EVROPSKOG PEDIJATRIJSKOG NEUROHIRURŠKOG DRUŠTVA I PROVJERENI PRIJATELJ BH NEUROHIRURGIJE, PROR. MEMET OZEK IZ ISTANBULA (TURSKA). 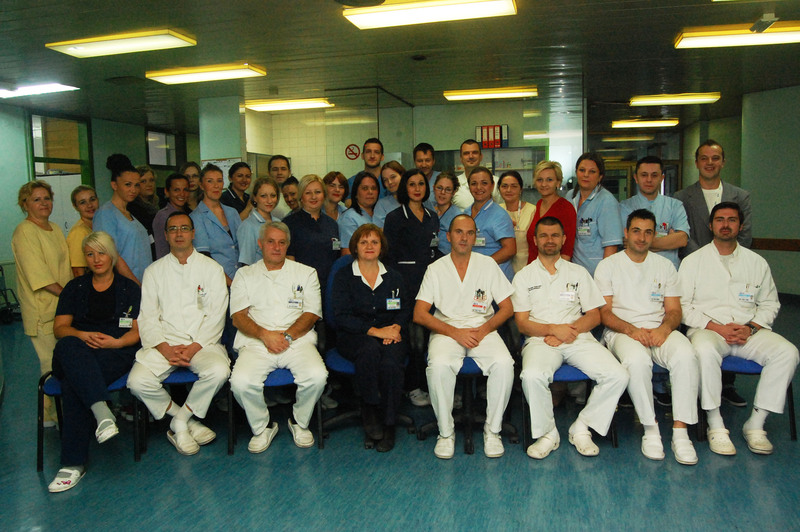 Suorganizator Kongresa neurohirurga Jugoistoka Evrope SEENS SARAJEVO 2015, Udruženje neurohirurga u BiH čvrst oslonac u realizaciji ovako velikog međunarodnog skupa je našlo u osoblju Klinike za neurohirurgiju 2 UKCS. 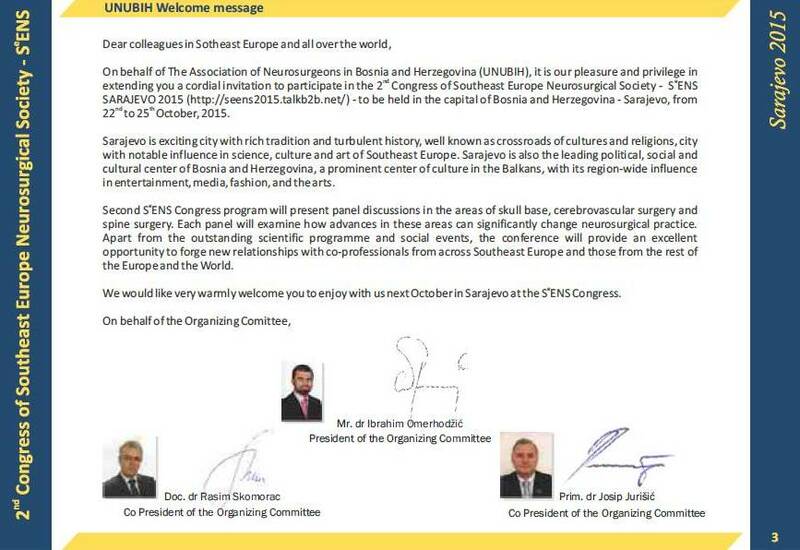 On behalf of The Association of Neurosurgeons in Bosnia and Herzegovina (UNUBIH), it is our pleasure and privilege in extending you a cordial invitation to participate in the 2nd Congress of Southeast Europe Neurosurgical Society – SeENS SARAJEVO 2015 (www.seens2015.eu) – to be held in the capital of Bosnia and Herzegovina – Sarajevo, from 22 to 25 October, 2015.
in entertainment, media, fashion, and the arts. Second SeENS Congress program will present panel discussions in the areas of skull base, cerebrovascular surgery and spine surgery. Each panel will examine how advances in these areas can significantly change neurosurgical practice. 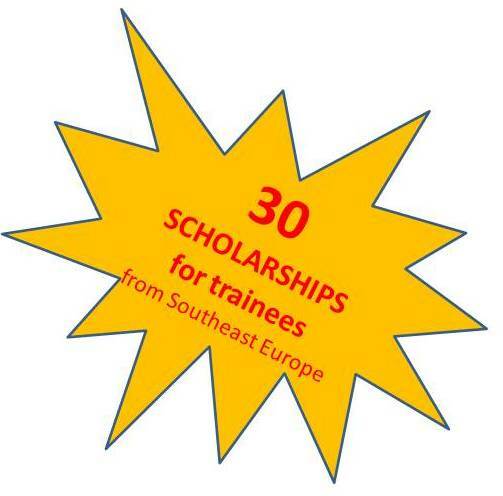 Apart from the outstanding scientific programme and social events, the conference will provide an excellent opportunity to forge new relationships with co-professionals from across Southeast Europe and those from the rest of the Europe and the World. 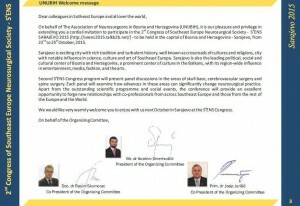 We would like very warmly welcome you to enjoy with us next October in Sarajevo at the SeENS Congress. PARTICIPANTS: The symposium is intended for neurosurgeons, spine surgeons, orthopedic spine surgeons, residents in neurosurgery, neurooncologists, neurologists, radiologists and neuroradiologists, endocrinologists, psyhiatrists, medical students, students of the faculty of health studies and nurses/technicians with career interest in neurosurgery and spine surgery.